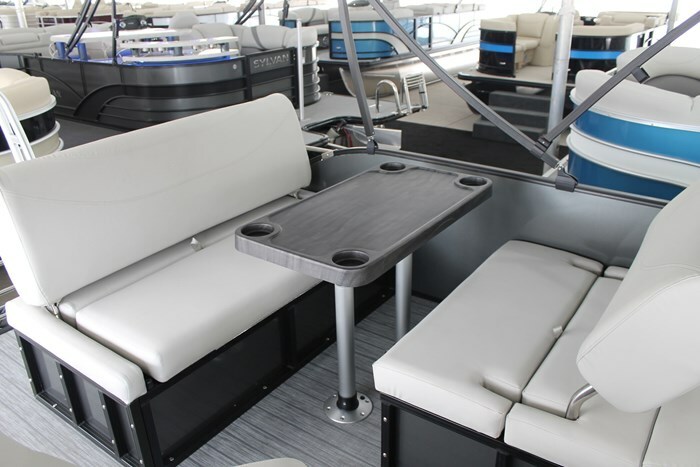 Choosing the pontoon boat that meets your families needs is the critical first step in the purchasing cycle. Sylvan does an admirable job of guiding customers through what is an endless maze of options, floorplans and layouts in the market. Their approach is to guide you through the benefits of the technologies they bring to the water – from tubes to construction foundation, electronics, furniture, upholstery and more. Sylvan then breaks their lines down into 4 series each of which connects seamlessly to the priorities you established from the previous reading. It’s a smart and sensible approach to making the purchase easy for every customer. The Mirage LE/LES series packs as many standard and optional features as possible into a boat that lets you save money without sacrifice. As I approached our test boat with that thought in my head I was greeted by a stern adorned with a beautifully polished stainless steel rails, 4 step reboarding ladder and a double mounted ski tow. WOW! Instant home run for my eyes. The next feast was the rear swingback seating set up on the port side of the boat. Use it as a comfortable dining area for four or quickly pop out the dinette table and with one hand you can adjust the seating to a monstrous lounger – which could certainly be a comfortable bed – or hang out here to watch the kids on tubes or entertain with friends while rafting. This innovative swingback design really does represent a whole new level of entertainment options in a plush, stylish and comfortable package. The optional raised helm blends perfectly with the high back helm chair and a dashboard that would be comfortably enjoyed in any sports car. 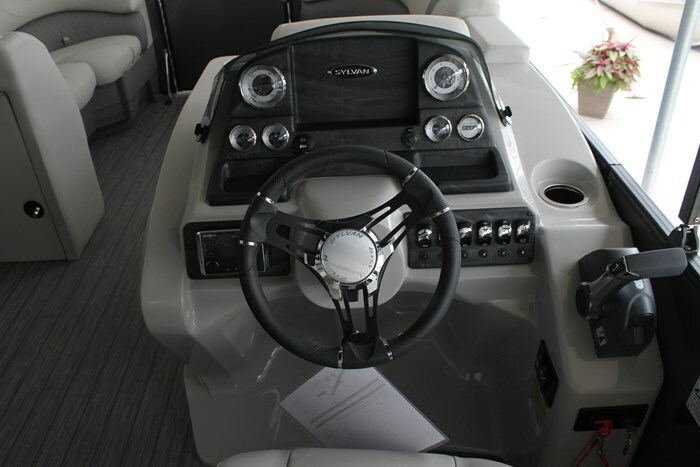 Any level of Captain’s experience will appreciate the easy to read gauges, access to stereo, lighted rocker switches, cell phone tray and the supple feel of the Verona wheel. 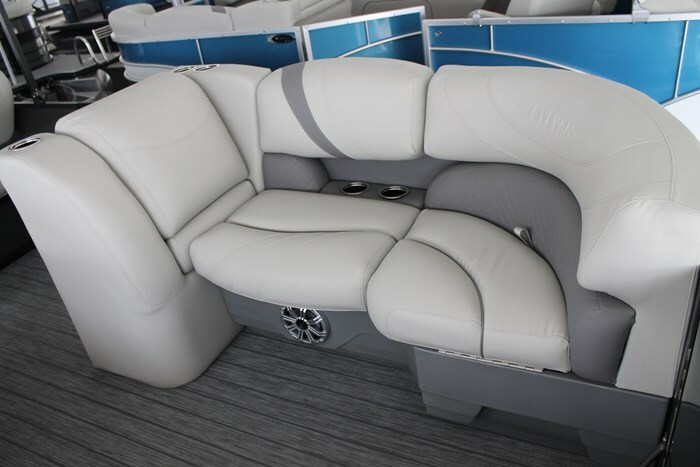 The bow loungers are generous in size, plush and comfortable to sit or lounge in and the recessed drink holders are a brilliant way to add space while taking nothing away from the experience. 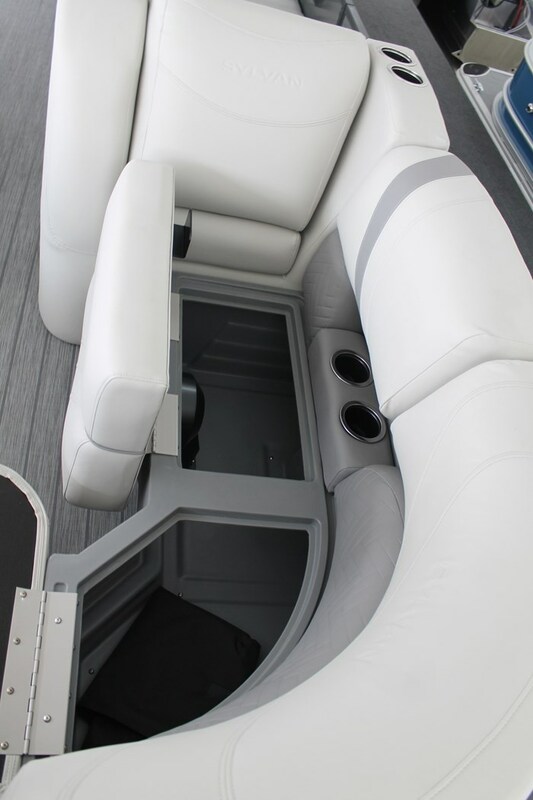 Knowing the rotacast molded storage has an integrated drainage system to protect my gear underneath the loungers simply adds great peace of mind. Powered by the Evinrude Etec 90 pontoon engine she performed admirably on a 25 degree day in calm waters with a full 20 gallon (75 litre) tank of fuel and two big guys on board. Our hole shots ranged from 4.6 to 4.8 seconds, we found nice cruising speed of 20 & 24 MPH. She topped out at 26 MPH @ 5,500 RPM on my GPS, many owners will be more than happy with these results. If you have a need for a little more speed, simply power your Mirage with a little more HP – she’ll take up to 125 HP with the standard two RPT tube configuration or up the ante even further with the addition of one of Sylvan’s performance packages. Your local Sylvan dealer is your best asset to guide you through this step. Sylvan stands behind their product with a Lifetime +6 Warranty. 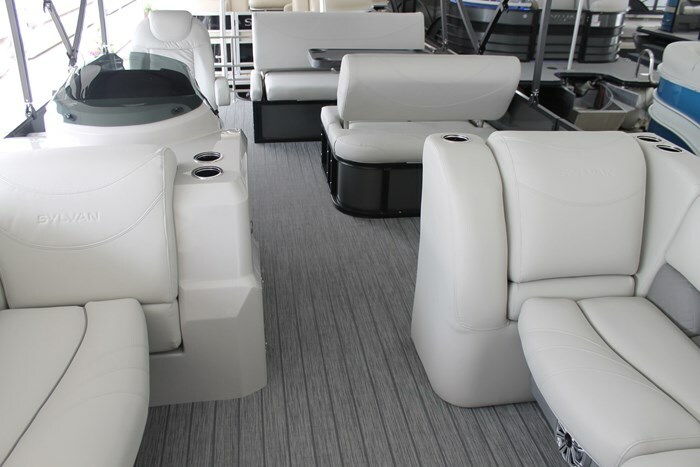 In essence, you get a transferrable to 2nd owner limited lifetime warranty on deck, tubes, transom and structure. Add to that a solid 6 years on components, flooring, upholstery and electronics and you’ve got a great brand behind you ready to support your purchase. 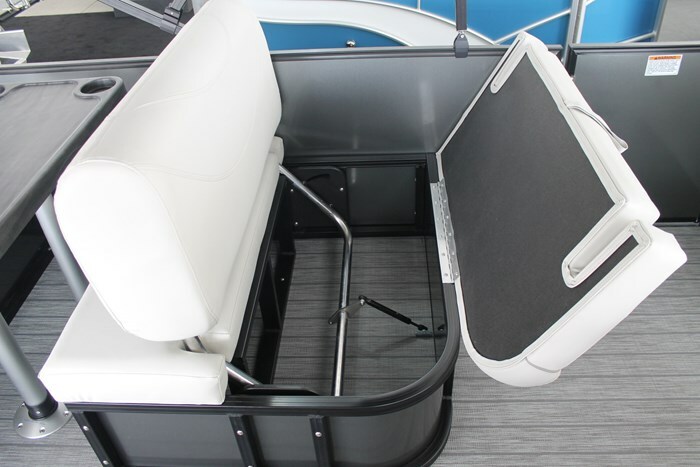 The Mirage series truly does present an excellent array of standards and I love the simplicity of personalizing this boat to my own needs. Check it out at your local dealer or a boat show near you.